Discount available! Recommend GPS 20 channels SMD module - SIRFSTAR III to your friends and get your Discount. 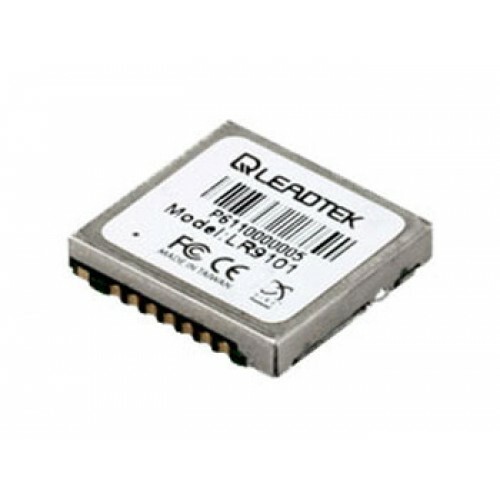 The Leadtek LR9101 module is a high sensitivity, high gain, low power and very compact Surface Mount Device (SMD). This 20-channel global positioning system (GPS) receiver is designed for a broad spectrum of OEM applications and is based on the fast and deep GPS signal search capabilities of SiRFStarIII GSC3f/LP architecture. 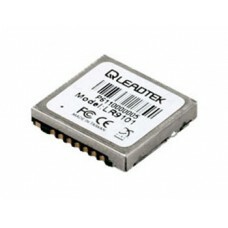 Leadtek LR9101 is designed to allow quick and easy integration into GPS-related applications, especially for compact size devices, such as: PDA, Pocket PC and other computing devices Fleet Management / Asset Tracking AVL and Location-Based Services Hand-held Device for Personal Positioning and Navigation. Power supply: from 3 up to 5 Vdc. Dimensions: 15 x 14 x 2,8 mm. Protocol: NMEA-0183/SiRF Binary (default NMEA). Baud Rate: 9600, 19200 bps (default 9600).